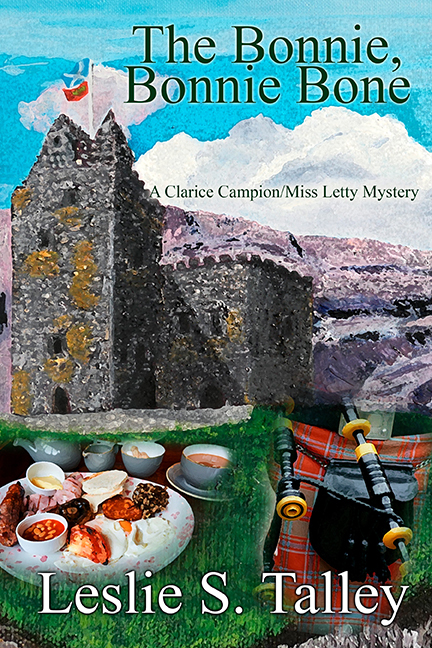 This fourth installment of Leslie S. Talley's series featuring Clarice Campion/Miss Letty finds Clarice, husband Otis, and Miss Letty acting as exchange innkeepers/caretakers of Castle Skeldon on an island in the tidal Firth of Lorn, Scotland. Miss Letty, former star of the Silent Screen, is over ninety now; Clarice and Otis wish to be near their twins, enjoying another semester abroad at Edinburgh University. Previous books featured the trio at their home base, Daytona, Florida (Make Old Bones); St. Augustine, Florida (Bred in the Bone); and Bray, county Wicklow, Ireland (The Closer the Bone). Otis, in search of a leak, discovers two skeletons in a shaft: one from the 1970s, the other from the 1930s. The older skeleton bears a gruesome relic: a third leg growing from the abdomen. A vestigial twin. Did the aristocratic family try to hide this deformity? Surely not Earl Randall, who sold his castle to an American (but not the manor house or his title); they like him. The Dowager Countess, not so much. Clarice and Miss Letty delve into the family archives to try to identify this skeleton. They are assisted by their twins, Kitty and Pat, the twins' new friend Mac, six B&Bers from Virginia, maid Heather, and Heather's news-gathering Gran. Explorations lead them to a tunnel beneath the firth, originally an escape hatch for the family, but now fitted up with a decaying, secret room. And what about the picture perfect village of Killnish, so self-consciously Scottish but seemingly sprung up overnight? Why is there a gap in the Earldom? And why are there no graves in the churchyard pre-dating 1940? Finally Clarice and her B&Bers confront a killer in the tunnel. All must scramble for their lives as the tunnel collapses and water pours in from the firth! The Bonnie, Bonnie Bone, (along with the previous three works) is available both as an e-book and paperback from Amazon, Barnes & Noble, and Kobo. Leslie S. Talley of Titusville holds a BA and MA in English from the University of Central Florida. 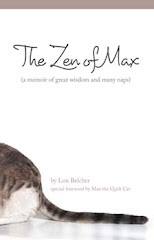 She taught there, as an adjunct, business writing, and technical writing for ten years. She is the author of the four "Bones" mysteries. Leslie and her husband Luke, a McDonnell-Douglas retiree, have lived in Titusville for forty-nine years. They have two children: daughter Terri Talley Venters, a fellow author, and Damon Talley, an employee of Harris Corporation. Leslie and Luke have four grandchildren.